Mesh garment to be worn next to the skin in summer and manage moisture. Our Base layer is designed to be worn next to the skin. The main body of the jersey is made from AirMesh, a perforated, polyester performance fabric; which is designed to help regulate body heat in all conditions and all seasons. For the summer months is helps to remove moisture from the body and in the winter it acts as insulation. All the seams have flatlock stitching so they won’t chafe. The base layers are close fitting and cut longer at the back and raised at the front for a better fit on the bike. 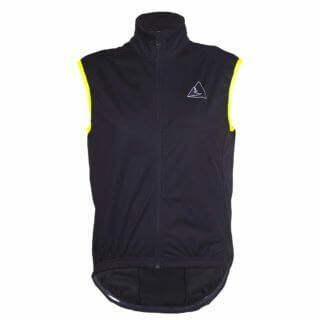 Odour resistant, excellent perspiration wicking and thermoregulation. 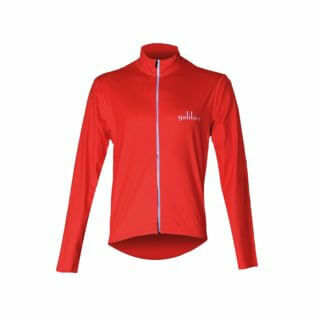 A revelation, this top is a perfect fit and works very well: dry and snug under a summer jersey, a wind top or a merino layer, or all three; hot or cold weather. Can get smelly but dries out in no time. Superb base layer. Great fit. Well made. Will be buying another couple of these.